Fabulous Hatley printed raincoat, totally waterproof and perfect for wet rainy weather. 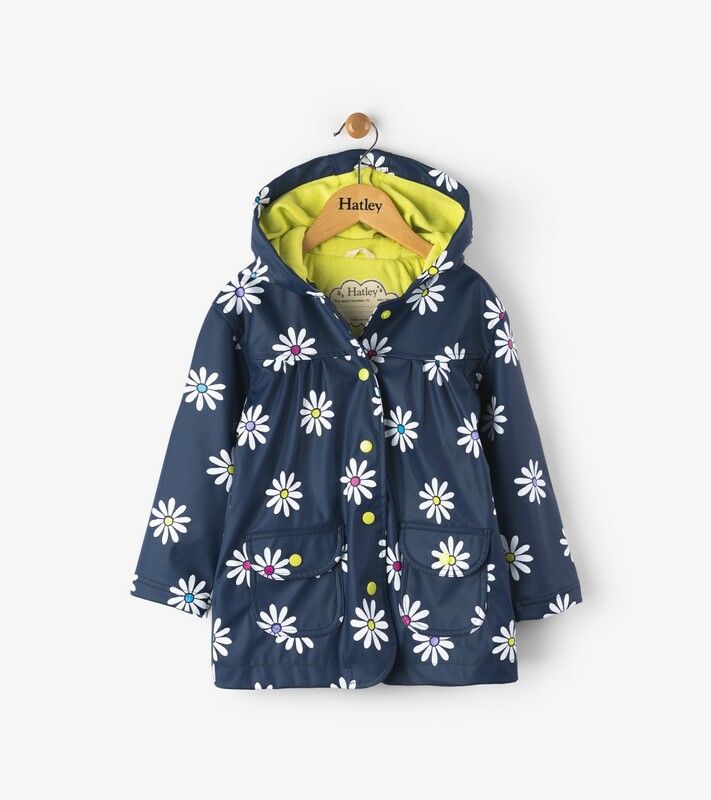 This printed Hatley raincoat has popper buttons on the front and a soft contrast lining for comfort. Add some fun and colour into those dreary wet afternoons!